Aromasin is known for being fairly tolerable throughout the majority of users. However, it is not without its potential side effects, and there are some of concern. They are usually as a result of a reduction in Estrogen levels that is too much, or too fast, or Estrogen suppression for too long. It’s also important to understand that the use of Aromasin (or any aromatase inhibitors) results in a greater side effect profile for women than for men. The first Aromasin side effect that individuals tend to encounter is that of joint and/or bone pain. This is because Estrogen plays a significant and important role in maintaining proper mineralization and bone density within bone tissue. Although this is a characteristic of all aromatase inhibitors, Aromasin has been shown in studies to actually strengthen bone tissue (to a point), while AIs like Arimidex (Anastrozole) and Letrozole (Femara) have shown severe reductions in the same. Lethargy and fatigue is a frequently reported side effect of Aromasin, and all other AIs. Estrogen plays a key role in the Central Nervous System (CNS), and dropping Estrogen levels too low for any reason with any compound can often result in daily chronic fatigue. A return of Estrogen levels to normal physiological levels should mitigate this side effect. Negative cholesterol changes are another significant risk with any AI use, and Aromasin is no exception. 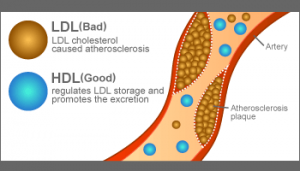 Being that Estrogen plays a critical role in the maintenance and management of proper cholesterol health, the severe reduction of it can result in negative impacts to LDL and HDL values. However, Aromasin has proven in studies to have a lesser negative impact here than other aromatase inhibitors. However, the risks still do exist and regular checkups and bloodwork should be done. The only Aromasin side effects that could be said to be unique to Aromasin is the possibility of androgenic side effects. 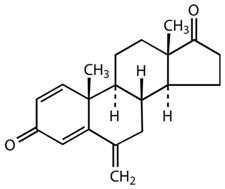 This is possibly due to Aromasin’s structural properties as an androgenic steroid in and of itself. Androgenic side effects can and do include things like increased oily skin (and acne as a result), increased facial and body hair growth, and the trigger of MPB (Male Pattern Baldness) provided the genetics are there for it. It is also possible that a noticeable boost in aggression and drive can result from Aromasin use, though perhaps not as significant as more potent androgens, such as Masteron (Drostanolone). Medically, Aromasin is utilized to treat post-menopausal breast cancer patients as a second-line procedure when first-line treatments have been unsuccessful. In this case, for cancer treatment, an Aromasin dosage of 25mg per day is warranted. It is also suggested within prescription instructions that it should be taken after a meal. In order to treat gynecomastia and ongoing control of Estrogen during a cycle of anabolic steroids, an average dosage tends to be 12.5 – 25mg per day. Some users have even opted for a 12.5 every other day protocol, but this is highly dependent on what aromatizable anabolic steroids are being used, and how much (dosage wise) is used as well. Other individuals will keep Aromasin available on-hand, but elect to not use it unless or until an Estrogen-related side effect or issue comes up. In that event, the individual might opt to take a full 25mg dosage until side effects subside, and then drop the dosage down to 12.5mg per day, and eventually perhaps 12.5mg every other day, or even less frequently. It has been shown in studies that Aromasin can and does indeed increase endogenous natural Testosterone levels in men by 60%, which is considerably significantm especially after only a 10-day period. 25mg per day for no greater than 2 weeks is the ideal Aromasin dosage for this purpose. Nolvadex is normally utilized for 4 weeks at a dosage of 20-40mg alongside Aromasin concurrently. Aromasin possesses a half-life of approximately 27 hours. It can be administered at any time of day, but studies and prescription instructions suggest that there may be better absorption by the body if Aromasin is consumed with food. It’s also imperative to understand that Aromasin requires a full 7 days to allow the body to achieve peak blood plasma levels of the compound. It is also very important to understand that with any compound like Aromasin where Estrogen levels are being reduced, the concept and idea here should be control of Estrogen levels, and not elimination of them. Elimination of Estrogen levels can result in very dire consequences, especially in the long run. 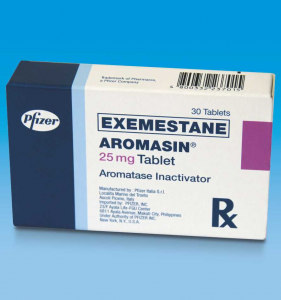 Estrogen should merely be controlled to proper levels (if needs be), and then the aromatase inhibitor (in this case, Aromasin, for example) should be halted, discontinued, or have the dosage dropped significantly. Severe reductions of Estrogen levels not only result in an increase of negative side effects, but it will also affect muscle gains in a negative manner over the long term. Much like many other ancillary compounds and anti-estrogens, Aromasin is mostly an uncontrolled substance in most of the world. While it remains a prescription-only item in the United States and Canada, for example, it is not illegal to purchase, own, or possess Aromasin even though it is not an over the counter product in these countries. There are a good number of countries in the world in Asia, the Middle East, and Eastern Europe where Aromasin is free and readily available as an over the counter drug. It is a very widely available compound, only limited by its popularity, as for the time being it seems to be less popular than other aromatase inhibitors like Aromasin and Letrozole, most likely because Aromasin was a late addition to the bodybuilding and anabolic steroid use scene. Aromasin tends to be third in popularity out of the 3 primary aromatase inhibitors (Arimidex, Letrozole, and Aromasin), but it is still quite popular as an ancillary anti-estrogen that people look for in order to run their cycles a little safer and with less hassle. Most anabolic steroid sources, websites, dealers, etc. tend to offer Aromasin in their inventory, and there are a wide variety of brands available, ranging from underground labs, to pharmaceutical grade Aromasin, albeit more expensive. There also exists research chemical grade product, which is Aromasin (usually in liquid form), that is marketed by research companies as research chemicals for research purposes only. Quality, cost, and consistency can vary between all labs and brands mentioned. Nippon Yakurigaku Zasshi. 2003 Oct;122(4):345-54. Update on the use of aromatase inhibitors in breast cancer. Brueggemeier RW. Expert Opin Pharmacother. 2006 Oct;7(14):1919-30.